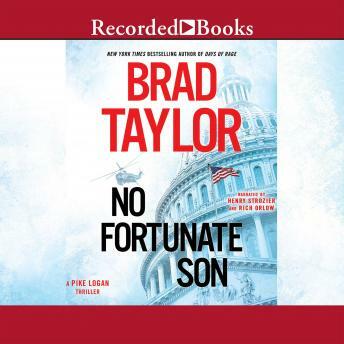 In the latest military thriller from the retired Delta Force Operator and New York Times bestselling author, a hostage situation places America's most powerful political elite at the mercy of its worst enemies. When veteran operator Pike Logan and partner Jennifer Cahill receive a letter from Blaisdell Consulting—the umbrella cover company for their real employer, a top secret counterterrorist unit called the Taskforce—they expect orders for their next mission-impossible tasking. Instead, they learn that their latest actions have gotten them fired, despite having saved thousands of innocent lives. Pike's shock and fury is redirected when their commander, Colonel Kurt Hale, asks him and Jennifer for help with a personal matter: His niece Kylie, an exchange student in England, has gone missing. Neither Pike nor Jennifer understands how critical her disappearance will become. Meanwhile, all Taskforce teams have been redirected to a developing situation. A terrorist organization has targeted military relatives of key members of the US government, including the vice president's son. Their seizure of hostages was far-reaching and meticulously coordinated, and the full extent of the threat—and potential demands—has thrown the government into turmoil. They face a terrible choice: Cease counter-terrorist operations, or watch hostages die one by one. How much is a single life worth? Unless the Taskforce can decipher the web of lies devised by their enemies, the United States is about to find out.